Photo by Bob Segal – MBIS MBISS PGCH Sastya Eleven Eleven bred by Sally Gift & Mary Ann Leonard. 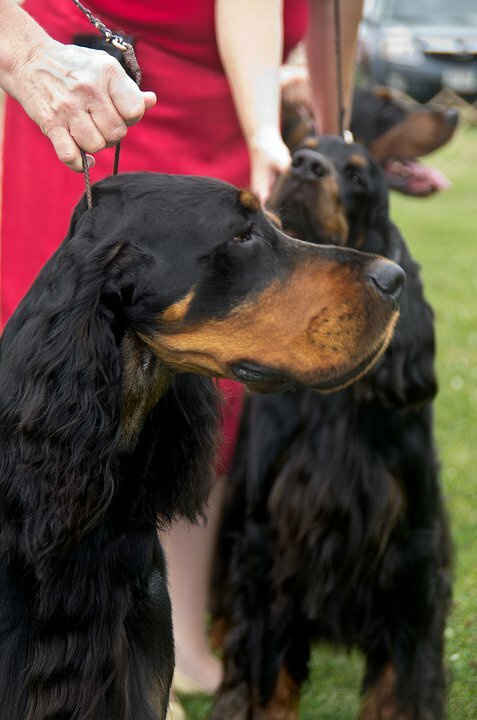 The Gordon Setter Expert is written by, and for those who are new, as well as those who are experienced Gordon Setter fanciers. 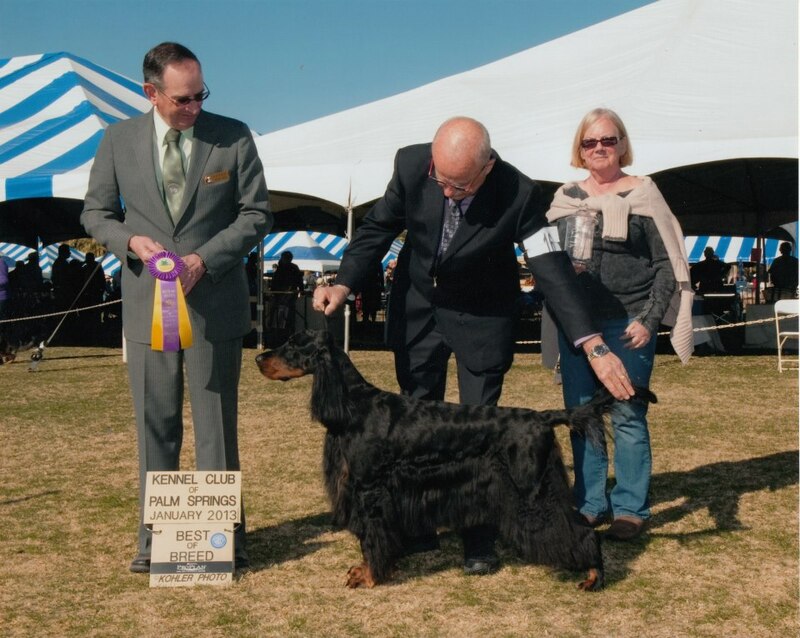 We are dedicated to building a knowledge base for those who are involved in all of the various aspects of competition with Gordon Setters, competitions that showcase the Gordon Setter’s Beauty, Brains and Bird-Sense. We hope you will choose to join us, becoming a reader and a contributor to the content of this magazine. Through this blog we all share our experiences, our knowledge and our inquiries. 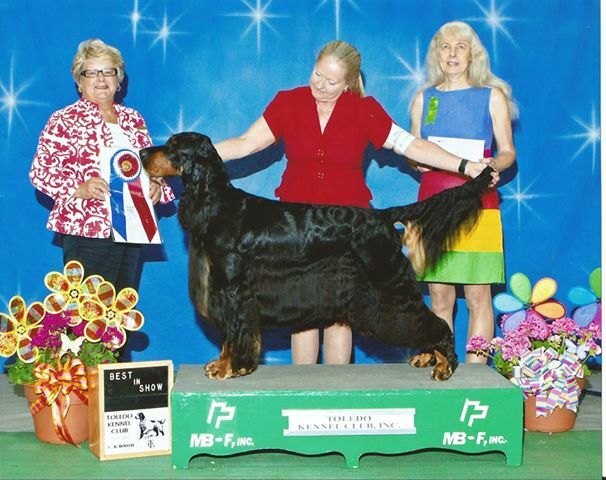 Information and inquiries that concern all aspects of owning, raising, breeding and competing with Gordon Setters that will aid the current and the future generations of purebred Gordon Setter enthusiasts to learn so they will continue our dedication to producing gorgeous, healthy, and sound purebred Gordon Setters. Please submit your articles, questions and suggested links, books, or videos for publication to us at GordonSetterExpert@gmail.com. Sally Gift (Puhalla) I established Sundance Setters in 1972 following the purchase of my first Irish Setter. 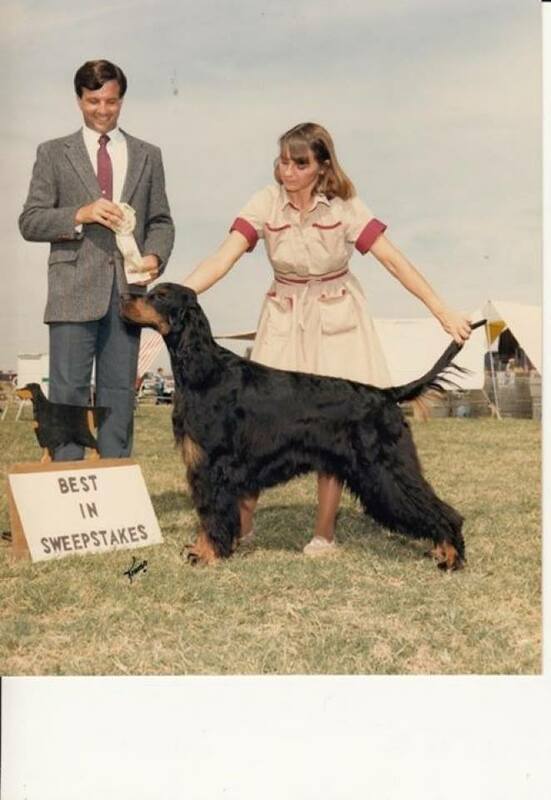 In 1977 Gordon Setters became my breed of choice and from there it was a short leap to a breeding and showing pastime that has flourished for over 40 years. I have bred litters rather sparingly, consistently basing all decisions on quality vs quantity to produce healthy, happy and beautiful setters for home and competition. Sundance bred Gordon Setters have proven their quality numerous times winning at various levels in the breed ring, very often breeder/owner handled. Gordon Setters from my breeding have taken All-Breed Best in Show awards along with many Sporting Group placements. They have further proven their merit through wins at the GSCA National Specialty including the highest honor BISS, and our puppies have taken Best In Sweeps wins there also. You’ll find my breeding has placed with style at many regional specialties over the years with honors that included BISS, BOS, BOW, WD, WB and Best in Sweeps. Because my life included a busy family of four children and along a full-time marketing career I never seemed to have the free time to train and compete in performance or field events, but some of our owners were very successful completing titles in those arenas. That also doesn’t mean I didn’t spend any time with field activities, I did serve many years as a Hunt Test Secretary for our the Gordon Highlander test, just enough to keep me humble! When my Gordon Setters weren’t out winning shows they were home winning the hearts of the families who loved them. I simply cannot imagine life without a Gordon to share it with. Hey Sally, In that “DogOnIt” video that’s me and my dog Molly. You’re so welcome Elizabeth! I am so happy you are enjoying. Wow, this looks pretty awesome. I passed it on to Maxwell’s owner and to the gal on our freestyle team who also has a GS. Looks like a lot of work has gone into it. Thank you so very much for sharing your thoughts Carole, this is a labor of love for me, I wanted to find a way to give back to the breed I love so much and in doing so hoped to help others to find the knowledge and encouragement to find as much fun and friendship in the sport of purebred dogs as I’ve enjoyed. It’s a wonderful idea! Thanks for doing this!